1. When laser engraving with gradient, double phenomenon. This phenomenon occurs when the slope of words carved smaller, usually the reason is "wide" setting slope too large, cause calculation errors, please set "wide" little slope. 2. If you only can move a graphic with one direction, please click "Shift" or "Ctrl" to recover. 3. PLT format cannot to engrave. There are two reasons, one is the graphic is not closed, the other is graphic double. Please detect this phenomenon with "data detect" tools. 4. The size is not same with laser engraving & cutting samples. 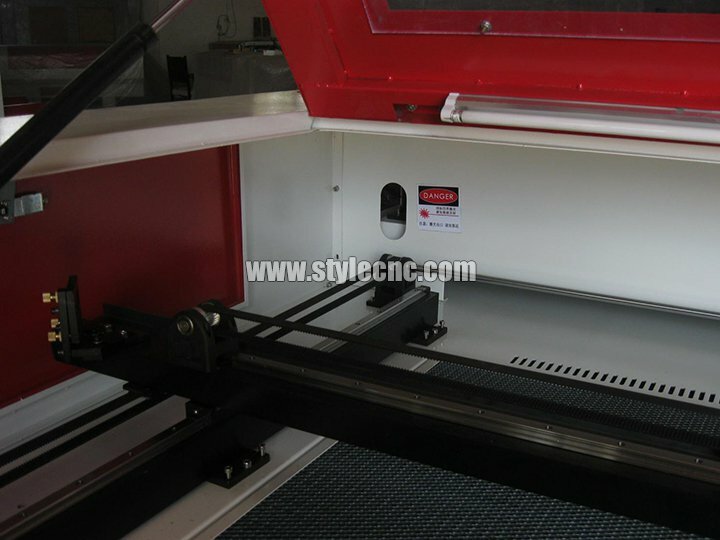 Open the item "Laser engraving machine set", adjust the pulse. 5. The edge is irregularity when laser engraving. The edge is irregularity maybe happen when you use the DSP5.3 Laser engraver software, that means "burr", this is mainly caused by mechanical return clearance, this is the solution. a) Draw a box (rectangular or square), set work mode for the laser engraving machine, the sculpture is 0.5 mm instead, then see laser engraving effect, theoretically, should be aligned, namely the odd interlaces did edge should be aligned, even did edge also should be aligned, only the odd and even did not have a little. b) When you open" set laser engraving parameters", the parameters for different. laser engraving speed can be seen, the reverse gap is"0",you should adjust it as the matter of fact. c) You can chose" single-track light" when best laser engraving effect needed. Not to chose the draw of "dual-engrave", but when you chose it, the efficiency would be lower. 6. The X-axis or the Y-axis not move. a) Stir knob to chose the DC 5V, test the voltage between PULX（or PULY）and GND. Take Y axis as example, click the button of „up‟ or „down‟, the normal voltage is 2.8V, if it is not, we could confirm the controller was broken, please change the controller. If it is, please go to next step. b) Exchange the output terminal of the two drivers, then press " Up" or "Down" button; if X axis works normal, it means there is something wrong with the motor on Y axis, please change a new one; if X axis doesn‟t work, it means there is something wrong with the driver on Y axis, please chance it. 7. X Axis and Y Axis work in only one direction. a) Test the voltage between the DIRX and GND after pressed the multimeter into grade 5V; take the X Axis for example, press " left", then press " right" to see if there is some change on high level (>2.8V) and the low level(<0.8V); if not, the control card is broken and need to change a new one. b) if with change, please check the driver; if works normal, please change the driver on Y Axis. Test the voltage between the LAS and GND after pressed the multimeter into grade 5V; press "fixed fire" in the control panel, to see if there is some change on high level (>2.8V) and the low level(<0.8V); if not, the control card is broken and need to change a new one。 Also set up the time of fixed fir as 0 millisecond, which is in the PAD03 menu. Adjust the power from 0%~100%, enter and press "fixed fire" button, then test if any change between the DA1 and GND from 0V to 5V; if not, the control card is broken, please change it; if both with, it means there is something wrong with the laser power supply. 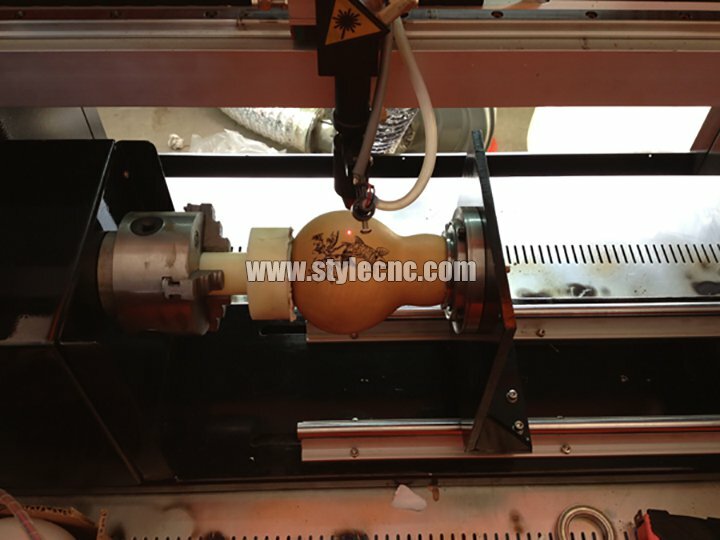 License: The text of "Normal problems of Laser engraving machine software" by STYLECNC is licensed under a Creative Commons Attribution 4.0 International License. • Next: Why Should I Purchase a Fiber Laser Marking Machine?